A few years ago, Dr. David Ring conducted carpal tunnel surgery on a patient’s finger at Massachusetts General Hospital. After the surgery was finished, Dr. Ring realized that he had operated on the wrong finger. Unfortunately, what happened at Mass General was not unique. Wrong site surgeries are still a problem all over the United States despite protocols designed to prevent this type of medical mistake. While Dr. Ring was wrong in performing the surgery on the wrong finger, there is a lot that doctors can learn from Dr. Ring’s actions after the surgery. 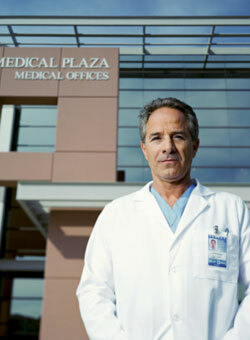 Dr. Ring promptly notified the patient of the mistake and conducted the correct surgery the same day. He, and Mass General, reached a financial settlement with the patient rather than denying the error and fighting in court. Additionally, Dr. Ring discussed the error in the New England Journal of Medicine to remind doctors in Massachusetts, Pennsylvania and across the nation of the importance of adhering to protocols that could prevent wrong site surgery errors. If you, or a loved one, have been the victim of a wrong site surgery in Pennsylvania, then please contact a Pennsylvania medical malpractice lawyer for more information. Why Don’t Doctors Say They are Sorry? Should Pennsylvania Doctors Apologize Too?